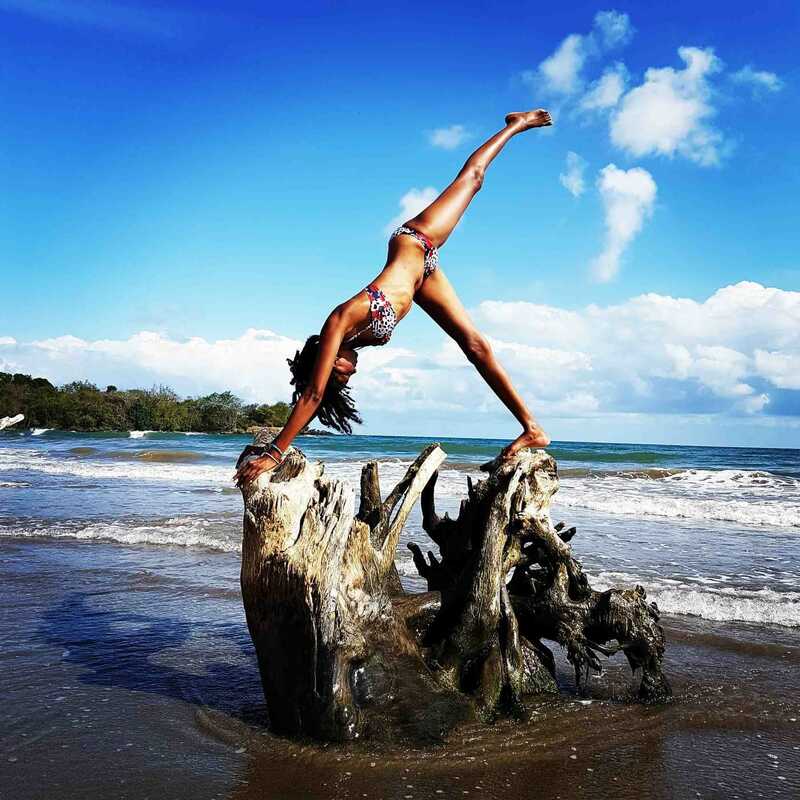 My name is Janelle (affectionately called Ja by family and close friends) and I guide yoga sessions in St. Lucia. My personal practice started more than 10 years ago and has been mainly Iyengar Style. In 2016 I had a wonderful opportunity to train in teaching Foundational Hatha Yoga. 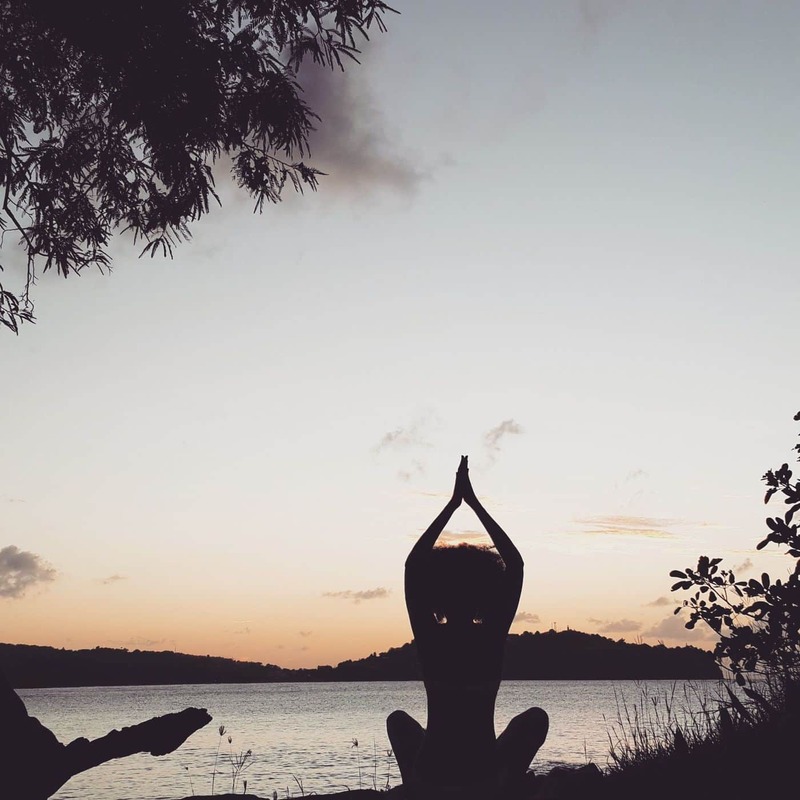 I love Yoga and my desire to share the peace that I find in this practice is the motivation behind the classes that I offer. 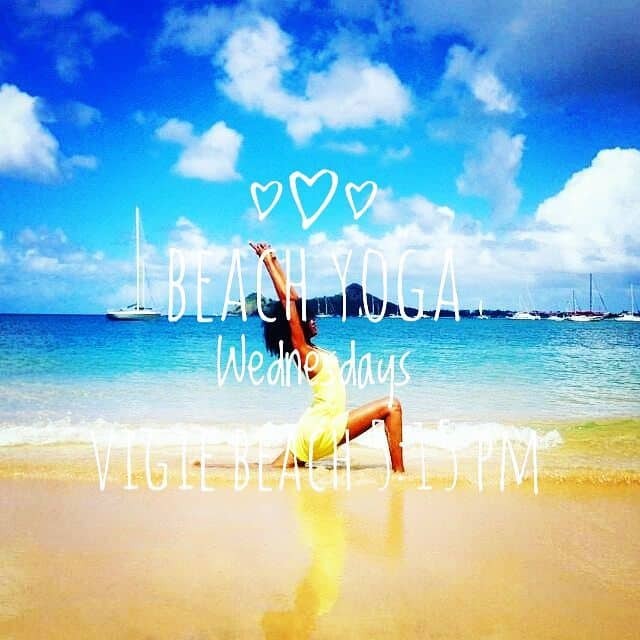 Beach Yoga at Vigie Beach is by far the most popular class I offer. Students love the beautiful location and the energy of the sea. Vigie is easy to get to and directions to our spot are in true Caribbean style; first coconut tree on the beach! Class starts at 5:15 pm every Wednesday and ends with a gorgeous sunset. Connecting with nature and exploring this beautiful island is my practice. 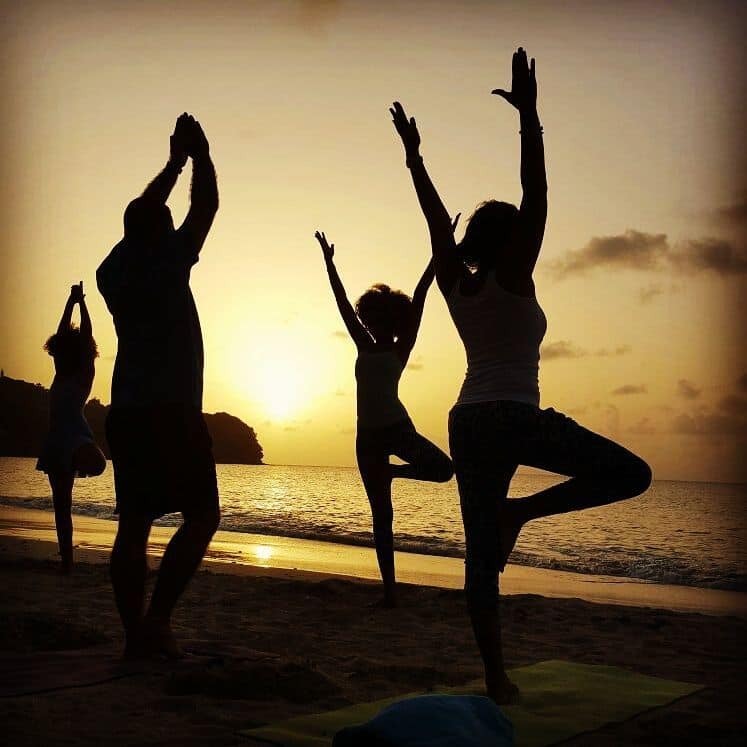 You’ll find that I offer “pop-up” beach yoga sessions at different beaches on the island (including the south), ‘Yoga in the Forest’ and ‘Hike and Flow’ sessions so be sure follow ‘Yoga with Ja’ on Facebook for details on the next adventure. 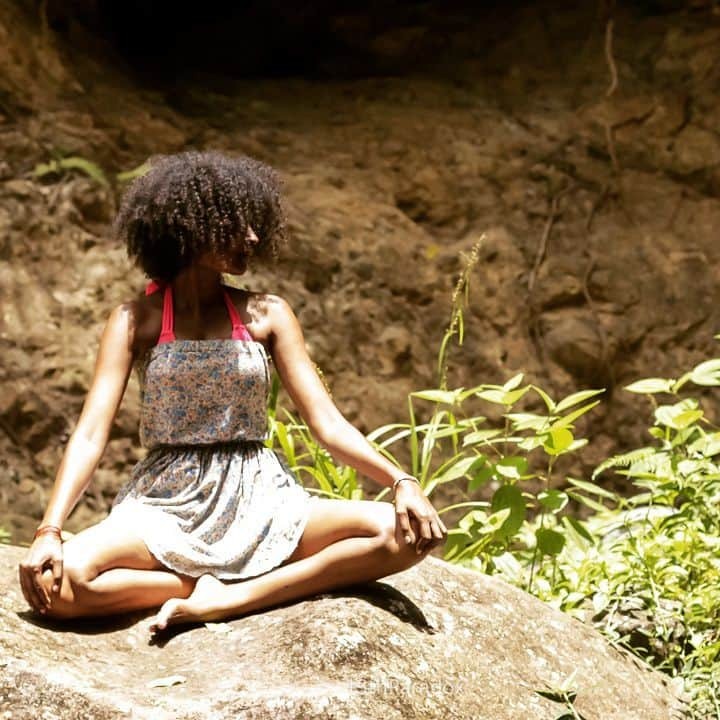 In the heart of Castries on a Tuesday you can join us at the Blue Coral Mall for Foundational Hatha, where we focus on alignment, flexibility and strength. Enjoy ‘Yoga and a Movie’ with us once a month on Tuesday or chill after class for Yoga Nidra (deep relaxation) or Meditation. Private group or individual classes are available so feel free to ask about those options. All classes cater to beginners and the less flexible. Yoga is for everyone! I hope to practice with you soon.